Matt Huynh is a Sydney born, New York based visual artist and storyteller. His bold brush and ink paintings are informed by calligraphic Eastern sumi-e ink traditions, the mechanical reproduction of popular Western comic books and their limitations. 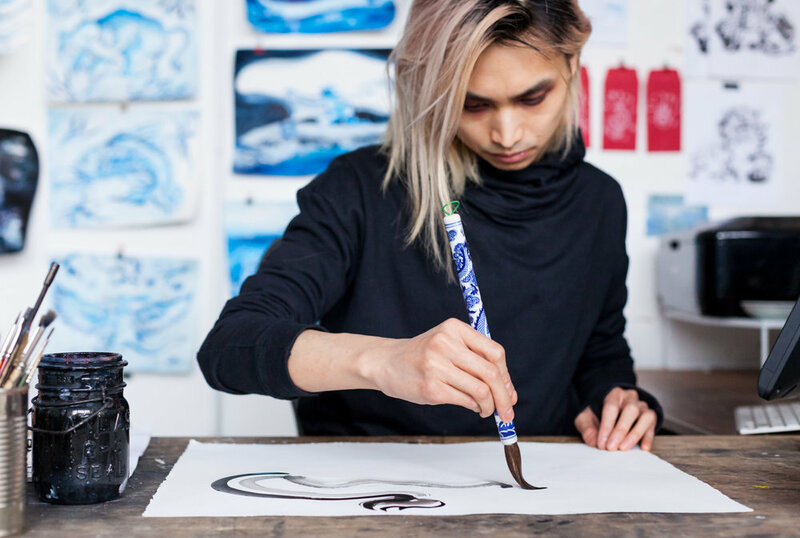 Huynh's work combines familiar traditional sumi-e painting techniques and found perishable objects repurposed for unpredictable mark-making. His illustrated essays, comics and animations interrogate the vast impression of war, with a particular focus on amplifying diasporic voices, telling refugee narratives and the experiences of asylum seekers and migrant communities. Huynh's work has been exhibited by the MoMA, The Smithsonian, The Sydney Opera House, Brooklyn Museum, Brooklyn Academy of Music and New York Historical Society. 4/18 Constellations, NY Media Center by IFP. "Writer and artist Matt Huynh works in the corridors of history where world events interact with the personal... There’s an urgency to Huynh’s writing. It’s a rush towards the unknown, the narrative unfolding. Finding itself with each page, each panel. Huynh’s ink wash painting is the voice of memory. The shallow fog of looking back." 5/5 - It’s a pure comic book and artistic experience that I’ve found is rarer and rarer in the comic medium, making this a breath of fresh air.